I have paid attention to politics since I was a teenager, and that my friends, was more than just a few years ago. My earliest memory regarding anything political is that of standing in my childhood home looking at scenes of the Vietnam war on the television and my mother explaining what was going on. I must have been 6 or 7 years old. I remember seeing the bracelets engraved with the name of MIA/POW soldiers that were worn by family members and I remember the protest songs on the radio. To this day, I still remember most of the words to those powerful songs. Over the years, my sense of fairness and justice, especially for those who are oppressed or vulnerable, has grown tremendously. 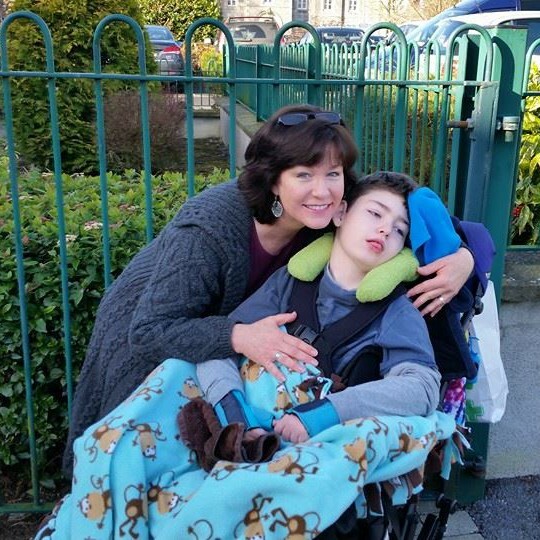 And whether it is ironic or not, nowadays I find myself immersed in the politics of my adopted homeland, Ireland, and raising my voice as an advocate for children with disabilities and their family caregivers as I am personally one of the thousands of families walking this challenging journey with a disabled child. Why, many people ask, do you care about politics so much when you have your hands so full as a lone-parent to 2 young boys, one of whom is severely disabled, medically fragile, and in a palliative condition? I care about politics because in many ways I abhor politics. A bit of an oxymoron to be sure. But one must realise that if politics – and the elected political representatives – are ignored and left to their own devices, we can end up paying a very heavy toll. Certainly not all politicians are unscrupulous. In fact, I know and respect a number of politicians on this amazingly beautiful island of ours. Having said that, the current state of affairs for families like mine is mainly one of struggle, desperately fighting for timely and appropriate medical care; waiting lists that add pain and suffering to the most vulnerable in our society; a lack of respite, overnight respite, and long-term care solutions for disabled children and their families; a lack of appropriate housing; a lack of useful home and vehicle modification grants/schemes for the disabled and their families; and, lest we forgot the family unit as a whole, an utterly unfair and borderline inhumane treatment of families who are left isolated caring for their disabled loved one, having been forced to give up their career, their savings, and any hope of retirement. Families with a disabled child who are working as fulltime caregivers to their child (no matter the child’s age) are crying out for help from our government and their voices are not being heard. Platitudes are given. Public statements meant to appease are given. But all the while, nothing changes. I care about politics because I care. I care what happens to my son, Brendan Bjorn. I care what happens to my younger son, Declan. And yes, I care about what is happening to me, as I wrestle with depression and anxiety and health issues of my own that are inextricably linked to being a fulltime carer without the supports mentioned above. I care about all of the disabled children of all ages, and their families, as we are all linked on this journey we walk together. I care about politics because I care about the direction our country is going. So many scandals, tribunals, inquiries. So many homeless. So many on trolleys. So many on waiting lists, including my own precious son. So many voices being ignored for far too long – from carers like me to the disabled to the homeless to those struggling with mental health issues to the courageous whistleblowers, like Jonathan Sugarman and Maurice McCabe, who are trying to do what is right and just to make this a better place to live. We should all care. It truly is as simple as that. Can you imagine how much better our beloved Ireland would be if our – and our politician’s – main character attributes were integrity, compassion, empathy, and a sense of duty to look after those who are more in need than ourselves? Yes, we should all care, because at the end of the day, we are all just one accident away from disability, one economic crash from bankruptcy, and one tragedy away from homelessness. I care about politics because, for me, sitting back quietly and doing nothing is not an option.